Even in the busiest, most prestigious marinas in the world, it is not that difficult to spot a Pershing yacht. Sleek, futuristic lines seem to stand a world away from traditional yachts, yet nothing is less true. Only a deep understanding of the craftsmanship needed to create the most superb traditional yacht, can result in such an innovative, avant-garde yacht. The same can be said of Parmigiani. There is not much traditional about the brand, but also here that comes from a true and deep understanding of the craftsmanship applied by the old masters to create the crown jewels of watchmaking, many of which have been restored over the last decades by Michel Parmigiani. No wonder that these two giants found common ground and joined forces with the result being Parmigiani’s Pershing collection. 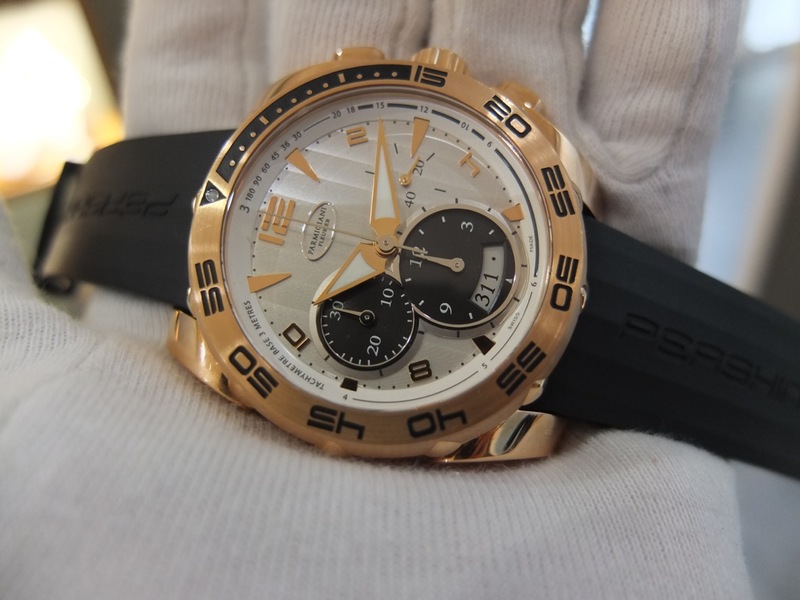 Especially the chronograph in this collection, the Pershing 002, is the embodiment of a modern sports watch. 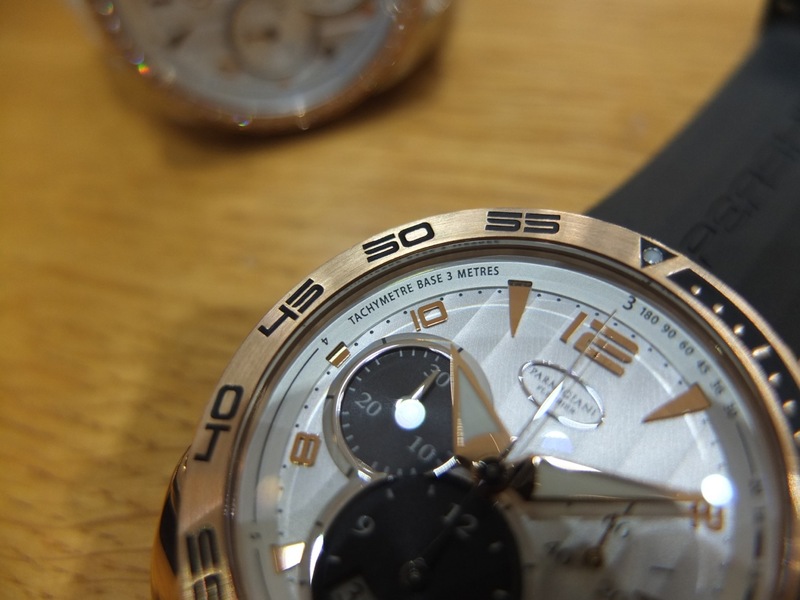 42mm in diameter, and 13.1mm thick, it has quite a presence on the wrist, especially when crafted from 18K rose gold. The whole watch is a tribute to modern design, brought to life with old school craftsmanship. Just as a Pershing yacht does it comment attention, not because it asks for it, but simply because what it is. 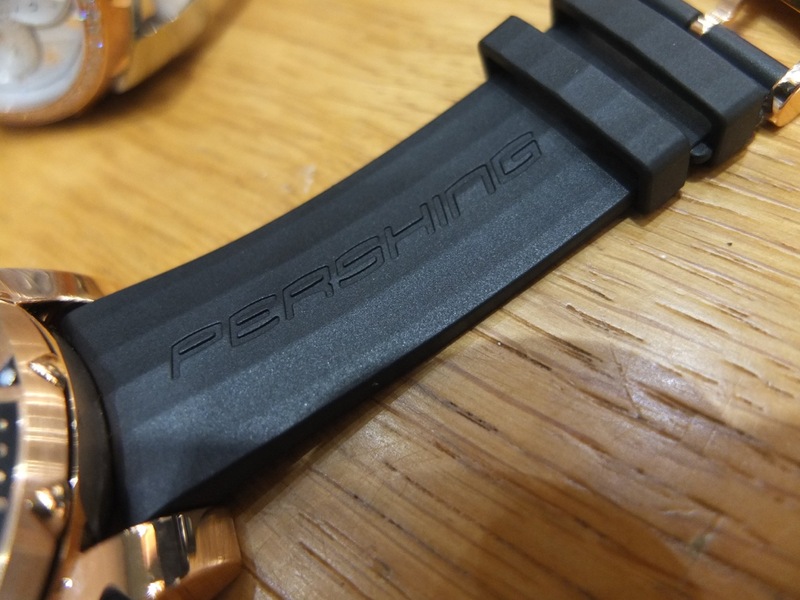 Although the watch has a time-elapsed bezel, it is as much a divers watch, as a Pershing yacht is a submarine. The chronograph is not afraid of water, but its more created for an active lifestyle above the ocean than for saturation diving in it. 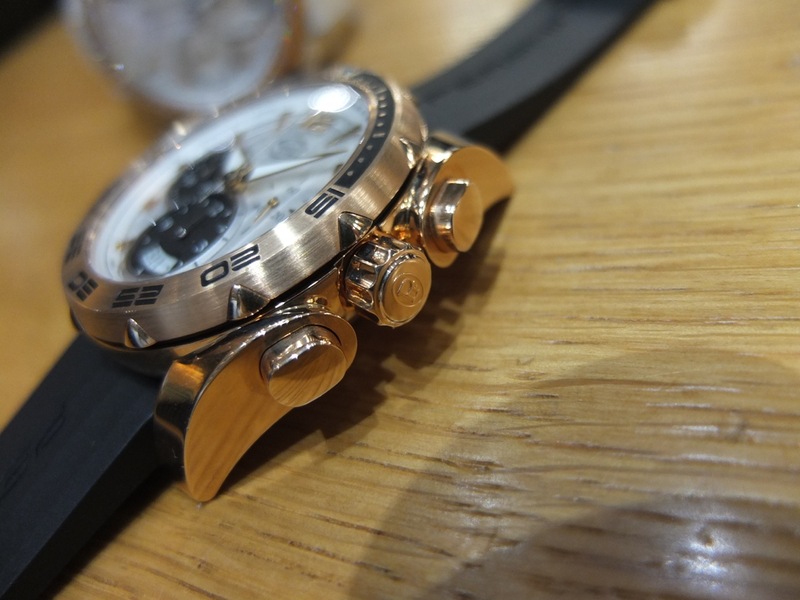 Its is powered by Parmigiani’s manufacture movement PF334, that features two main spring barrels coupled in series, as well as Geneva striping and beveled bridges. 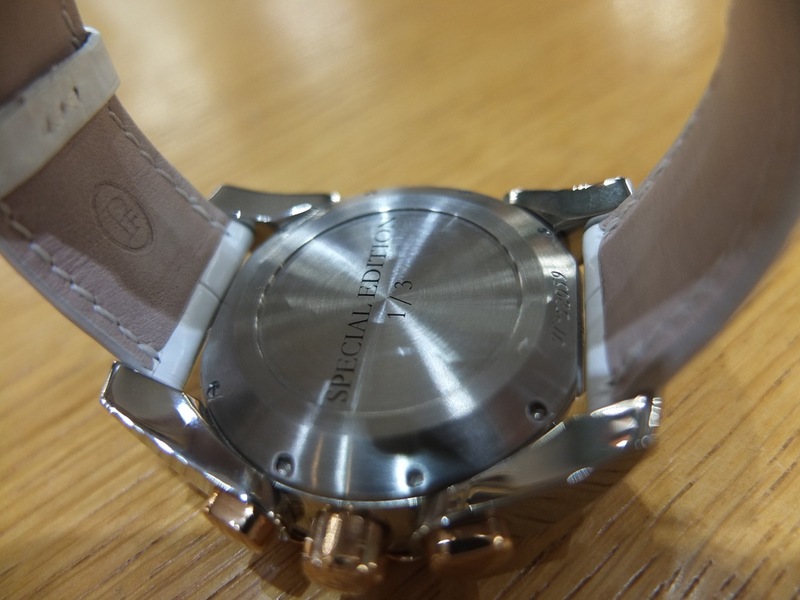 Not that one sees this, because the back of the watch is closed off and features a nice engraving of a Pershing yacht. The used typography, the strong but fluent lines of the case, the tricompax dial with the chronograph subdials featuring another color; they all contribute to a sense of non-conformism that in many ways defines both Pershing as well as Parmigiani. 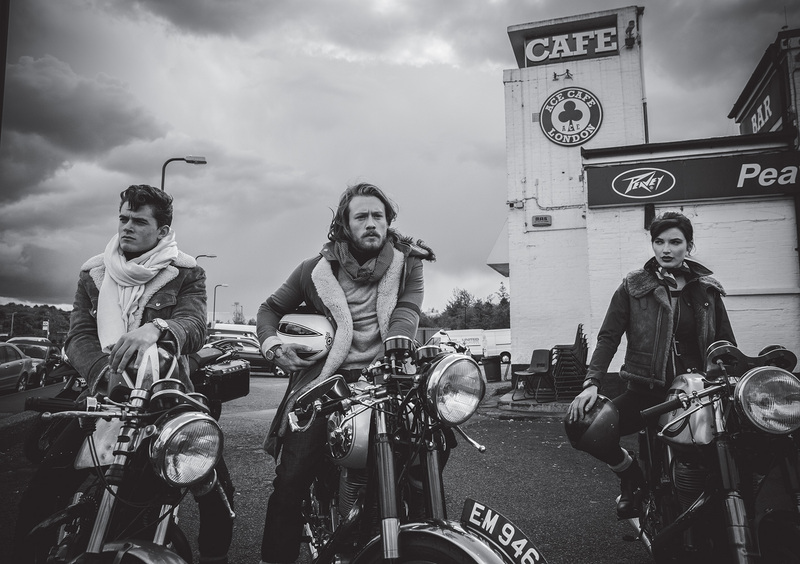 They offer the best, yet at their own terms and by their own rules, appealing to individuals with a strong sense of their own being. Not only men can enjoy this proposition, Parmigiani offers also a ladies model. Interesting enough is this watch not smaller, nor thinner, but it makes a different statement by using an other combination of materials. 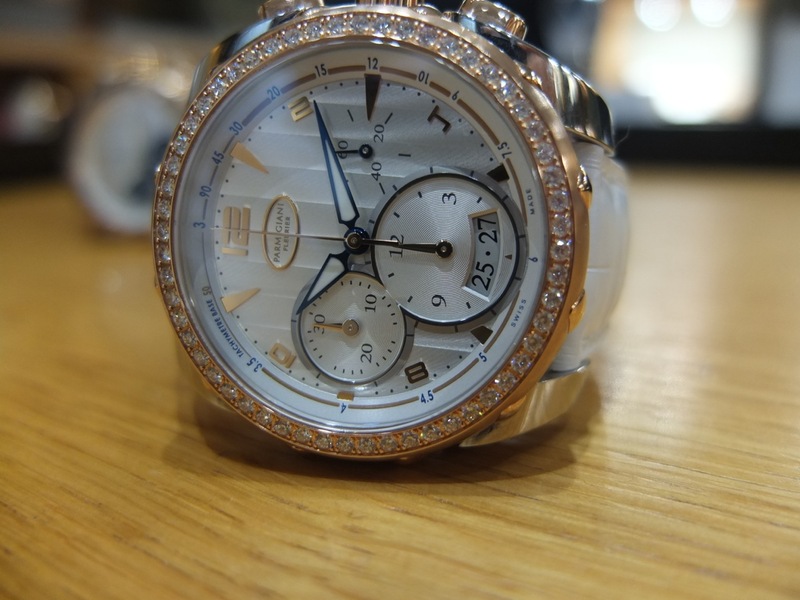 Diamonds and a slightly different dial give the watch a whole different, and indeed more feminine look. 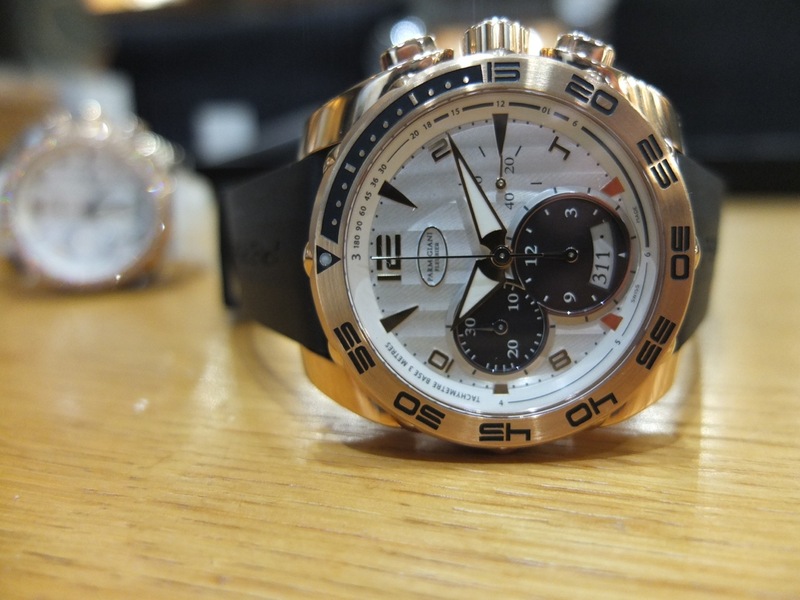 The watch in the pictures is quite unique because it is part of a very limited edition of only three pieces, featuring a stainless steel case, combined with rose gold, diamond set bezel and rose gold crown and pushers. While the man’s version of the Parmigiani Pershing 002 features a rubber strap, the ladies version has a white alligator strap. In many ways is the Parmigiani Pershing a unique proposition in the world of watchmaking. Precious, exclusive, not afraid to show its true colors although it knows that it will not appeal to everyone. That is actually seen as a benefit by those to who the watch does appeal to. They can enjoy avant-garde non-conformism which is solidly grounded in the old craftsmanship of the Haute Horlogerie, destined to become part of this history, because what is seen as non-conformism today, is often the future of tomorrow. Special thanks to Parmigiani and Atelier Michgelsen for hosting the photo-shoot .